So a couple of weeks ago some individual, or virus, hacked the security of my Facebook profile and took control of my information, my wall, my newsfeed, and my friends list. As silly or inconsequential as this may sound to people who don’t use FaceBook often this hack exposes a tremendously scary example of how insecure our information and identities are in this age of social networking. I made a concerted effort to craft my FaceBook page as a place, online, where I could share information and events with my closest friends; as well as, maintain connections with professional contacts and lifelong acquaintances. The information on the page was manicured to provide a personal, as well as, a professional glimpse of my life as a performer. As an actor I understand that part of my professional image is my personality, and I developed my FaceBook profile to share my tastes, interests, and sense of humor alongside posts about my professional achievements and the achievements of my peers and role models. The hacker changed the email attached to my account. The hacker changed my username and the email address associated with my account, successfully locking me out of my own information completely. FaceBook does not provide live customer service so I keep cycling through the same online account retrieval protocol that offers me no explanations or support. At this point, I created a dummy account simply to logon and see my own information, just to make sure my image wasn’t being grossly abused. I have been dealing with this issue for the past 2 weeks and now just want the account deleted — however the FaceBook retrieval protocol will not allow me to delete the account because it no longer recognizes me as the owner of the information. I don’t know how else to communicate to the 1,144 contacts on my “Friends” list that this individual is not me, and that my information has been stolen. I implore as many of you as possible to go to the page and report the information “hacked” or “compromised”. And please, for the time being, do not respond to or click on any links this false FaceBook Me may have sent you. 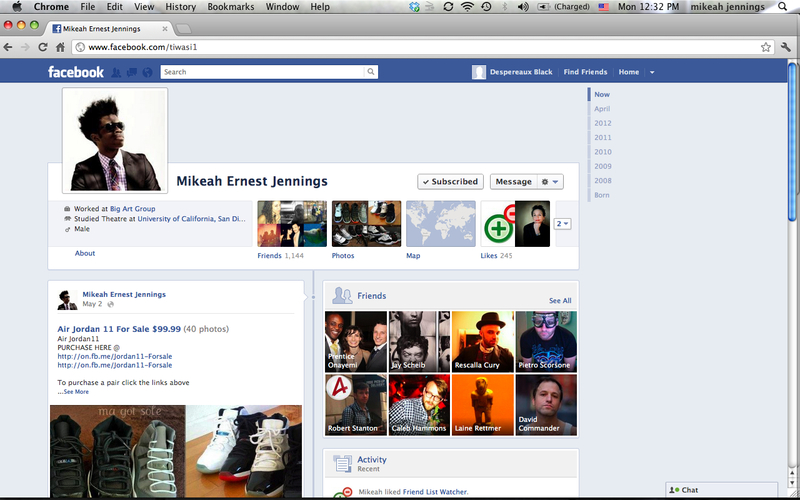 There is now a sneaker sale spam on the front wall, and my newsfeed has been changed to the “Timeline” format. 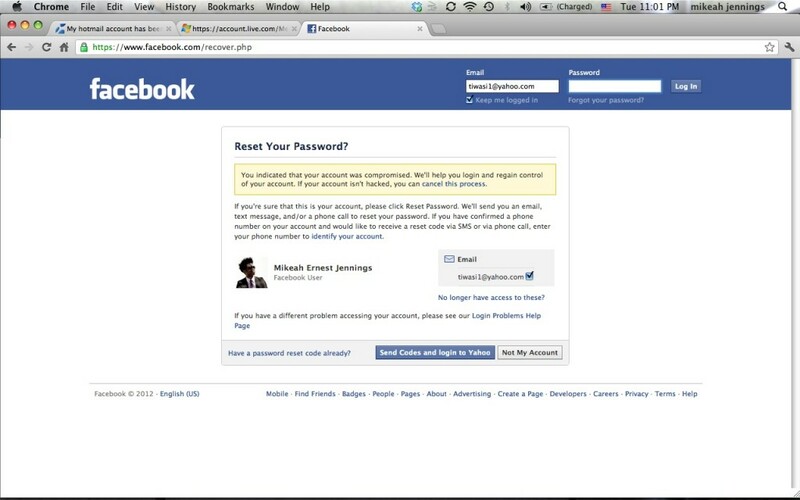 Notice the username has been changed to www.facebook.com/tiwasi1 (this is NOT me), but my name and image remain the same.